Lenovo is showing in strong terms its intent to make a mark on the global scene as one of the strongest smartphone brands with the way it has in the past few weeks churned out smartphones ranging from flagships, mid-range to budget phones. One of the latest budget smartphones in its kitty is the Lenovo A Plus which was unveiled at IFA 2016. The Lenovo A Plus may just have been better named “A Minus” because the specs only depict a smartphone meant for the very low-end market. It is very affordable, though. The phone sports a 4.5-inch touchscreen display with a resolution of 480 x 854 pixels. The A Plus is powered by a 1.3GHz MediaTek MT6580 chip backed by 1GB of RAM. Also, the smartphone features a storage space of just 8GB which fortunately is expandable up to 32GB via microSD card. The Lenovo A Plus packs a camera set up that is best left unused by mobile photographers or selfie lovers. There is a little 5-megapixel rear camera with LED flash, and the device features a 2-megapixel front-facing camera. The Lenovo A Plus also runs on Android 6.0 Marshmallow OS and cram a small 2,000mAh battery under its hood. The phone comes with a single SIM card version and another with dual-SIM slots. There are also connectivity options for your delight such as Wi-Fi, 2G, 3G, Bluetooth and sensors such as Proximity sensor, Accelerometer, Ambient light sensor, and Gyroscope. Wait till you hear the price tag maybe you’ll understand why the specs are so low-end. 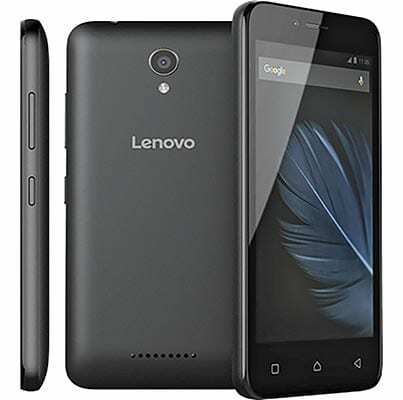 The Lenovo A Plus carries a moderate price tag of USD $77, about N24,000 in Nigeria while the dual SIM version is priced at $88 (approximately N28,000 in Nigeria).